I filmed another vlog this past weekend but haven’t had time to do anything more than upload the footage. I’m not sure how some vloggers film a video, edit it, and get it published EVERY SINGLE DAY. What’s the secret? Speaking of vlogs, in news that’s completely unrelated to Zucchini Hummus, I wanted to share with you my ALL TIME favorite vlogging channel. I discovered the Michalaks Youtube channel a couple years ago and have been…obsessed (for lack of a better word) ever since. First of all, they are just such a sweet family and I’ve enjoyed following their lives and their adorable little boy growing up. They also live in London and are always doing something fun in/ around the city and travel quite often. But, probably more than anything, their weekly vlogs are SO so so beautifully edited together. It’s truly art and I love watching it. I’ve been inspired by many vloggers but the Michalaks are truly the ones that encouraged me to start doing a little vlogging on my own. I think what draws me to vlogging more than anything is the mere documentation of it all. It’s no secret that Stephen and I hope to have a baby soon and I love the idea of documenting our child(ren) growing up in the same way that the Michalaks have done. Needless to say, BUT I will, you should really check out their vlogs. You can see their channel HERE. I’ve seen hummus made a lot of ways in my days. Black bean hummus, roasted red pepper hummus, and even Roasted Beet Hummus. 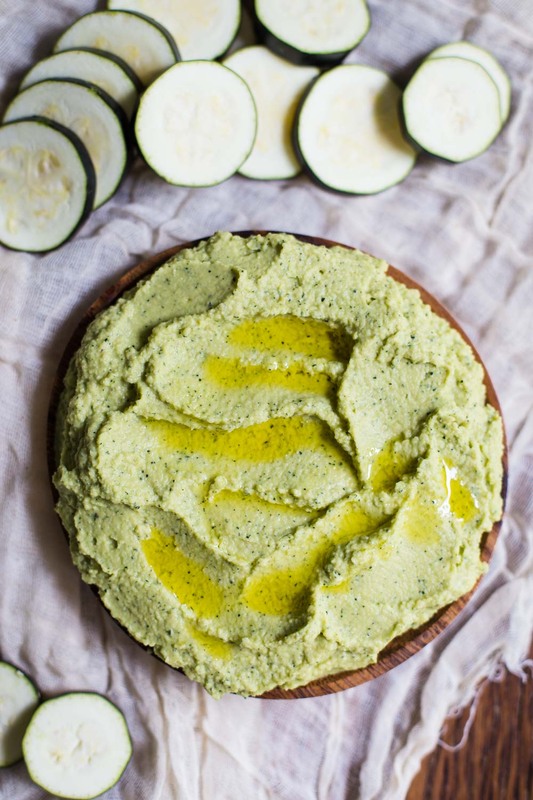 However, I have actually never seen Zucchini Hummus. So, that’s what we are doing today. And I know I’m turning into a broken record but yep, I’m still looking for inventive ways to use up all of this zucchini that’s currently taking over my countertops. 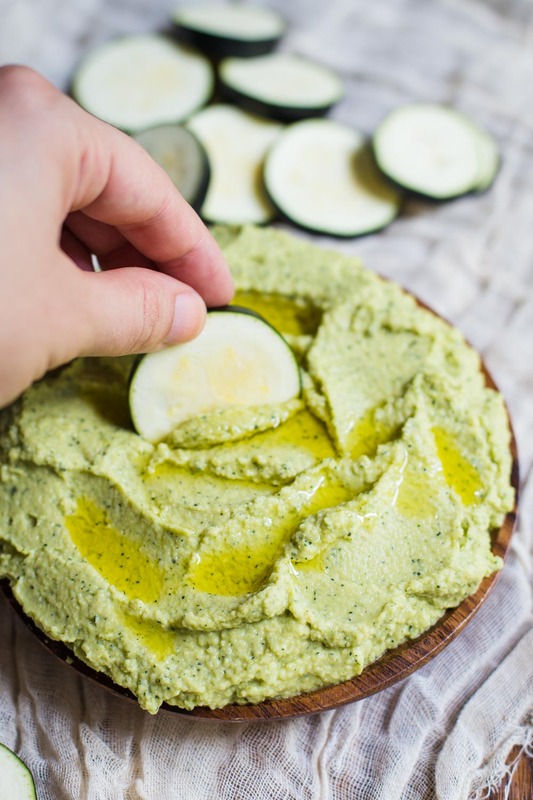 Genius idea: chop some zucchini up and throw it into your hummus! Why didn’t I think of this sooner? 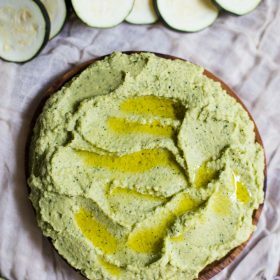 And yes, this is the hummus spread that was featured in Friday’s Super Seed Cracker recipe. Happy Monday, friends!! Be on the lookout for a new weekend vlog coming in the next 24 hours. 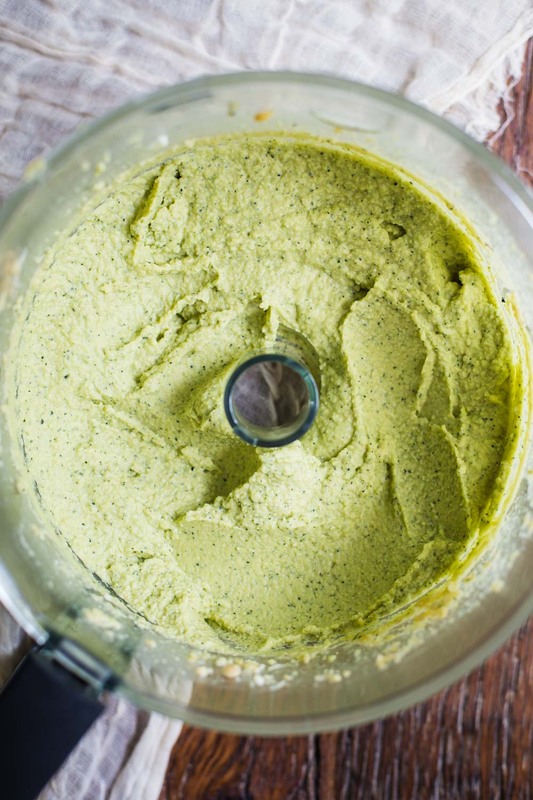 In a food processor or blender, place all of the ingredients. Blend until fully combined and creamy. Takes about a minute of blending. I love your site. I just made the zucchini chicken bites, soooo good. Thanks Monica O.